Years ago, when I read that COF was bad for me I gave it up. I was wrong. Judging by the studies linked and excerpted below, I was very wrong. As both of the articles linked and excerpted below state, moderate consumption (3-6 cups daily) lowers your risk of breast, prostate and liver cancers, lowers your risk of heart disease and stroke and lowers your risk of overall mortality. 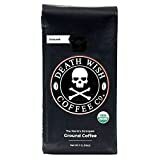 My teen son began drinking COF this year. I was nervous because of my previous belief that coffee was “bad for you” or stunted your growth. My son Alex maintains that a cup of COF before school helps him focus during his classes. Kind of a moderate, nutritional Adderall? Alex’s grades are better this semester than last year so maybe he is on to something. Now I drink two big, strong cups of COF every morning. Not too much, not too little. My criteria for COF? I am both a cancer survivor and cancer coach. For more information about food, diet, nutrition, etc. for cancer patients and survivors, scroll down the page, post a question or comment and I will reply ASAP. Heart: Based on 36 different studies with 1,270,000 participants, researchers conclude moderate long-term COF consumption of three to five 8-ounce cups a day lowers the risk of cardiovascular disease. Those who consumed five or more had no higher risk than those who consumed zero. Type 2 Diabetes: Drinking at least six to seven cups of caffeinated and decaffeinated COF a day was found to reduce the risk of type 2 diabetes by up to a third, while regular consumption decreased the overall likelihood of developing the disease. Cancer: Drinking two cups of coffee daily is associated with a 40 percent lower risk of liver cancer. COF consumption also plays no statistical significance in breast or prostate cancer risk. There is a link between coffee consumption and lung cancer but only found among those who have the disease due to smoking. Meanwhile, coffee consumption has actually been found as a protectant for non-smokers diagnosed with lung cancer. Coffee has been found to lower the risk of liver cancer and death for those who have cirrhosis.